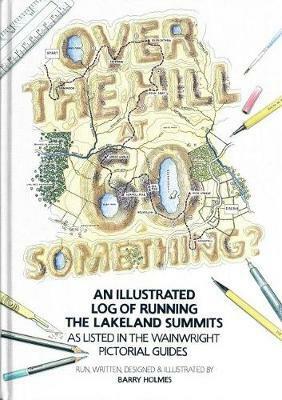 Books Cumbria : People : Wainwright : Over the Hill at 60 Something? Recently-retired Barry Holmes thought he was over the hill at sixty. So he bought a pair of running shoes and challenged himself to bag the Lakeland fells. His mission – sometimes painful, often wet, occasionally meandering, but always entertaining – takes him to all 214 Wainwright summits as he battles bracken, blizzards and blisters; injuries, white-outs, and weary limbs to discover the best and worst of Lakeland. Part graphical love-letter to the Lake District and part journal of a runner finding his stride, Over the Hill at 60 Something? will absorb and inspire anyone who’s set their eyes on the high places of Cumbria – then set off to conquer them.